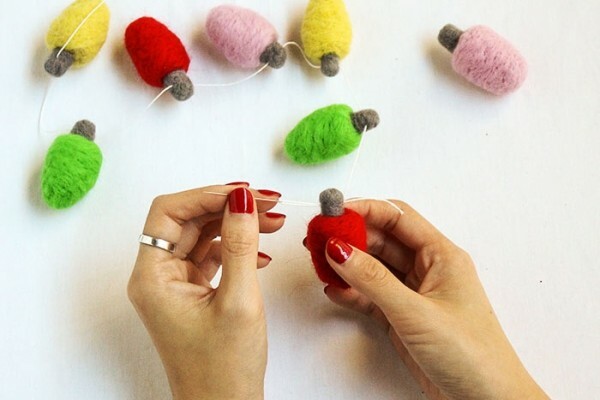 Valentine’s Day is right around the corner, and there’s no better way to show love than with a DIY Valentine. 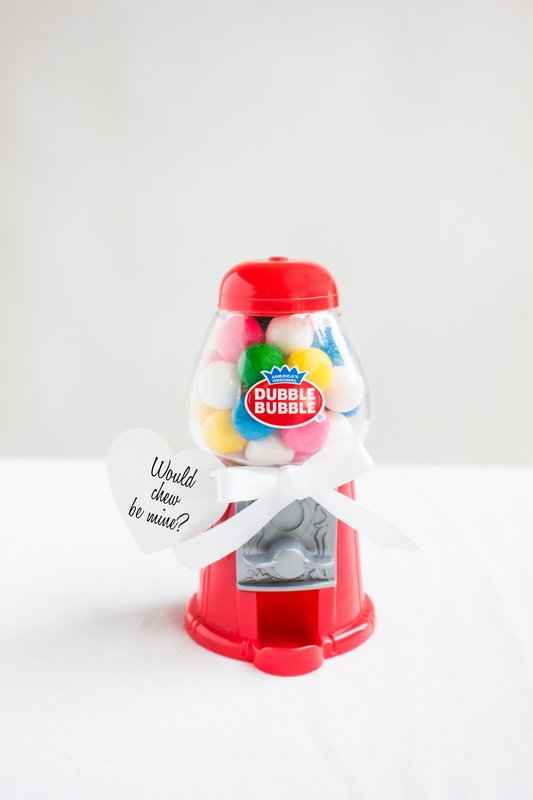 And because we particularly love Valentine’s with a little pun, we whipped up these adorable gumball machine Valentines! 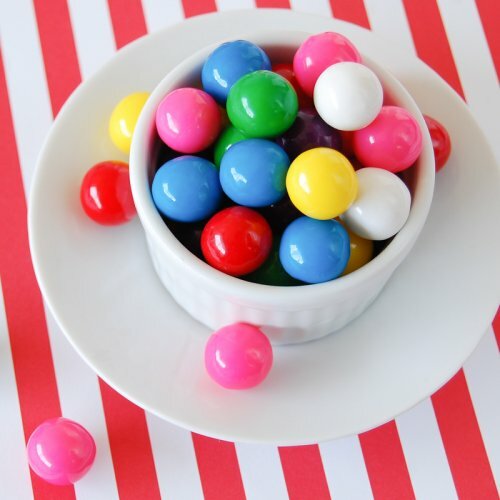 Easy to assemble and such a fun look, it’s sure to be love at first sight with this project. Check out how to make your own below. 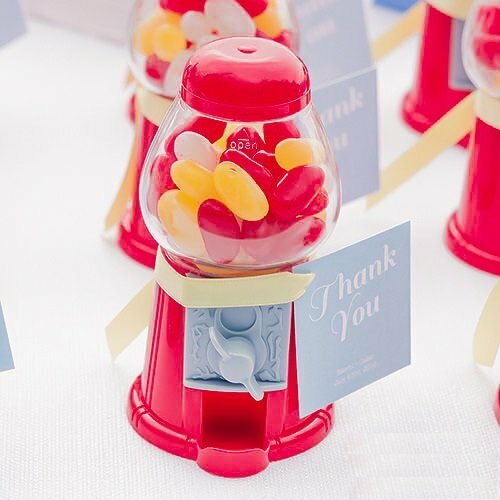 If you haven’t bought pre-filled mini gumball machines, then fill the empty ones with your favorite colored gumballs. 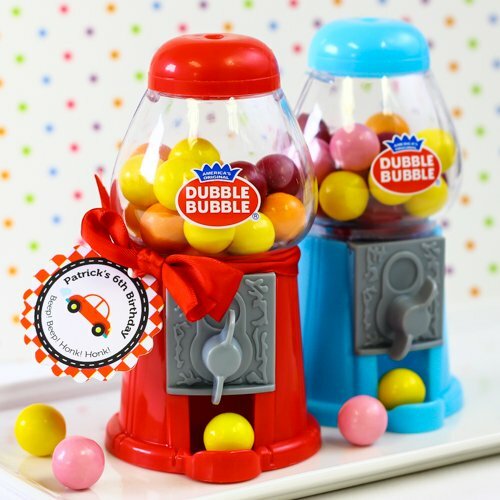 To fit inside this mini machine, we used gumballs with a 0.5″diameter. 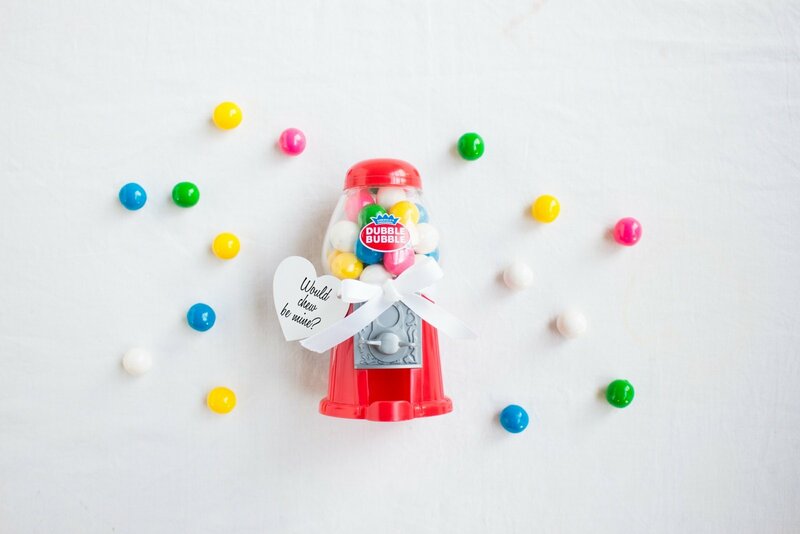 Then, write a punny phrase like “Would chew be mine?” or “I chews you” onto your tag. 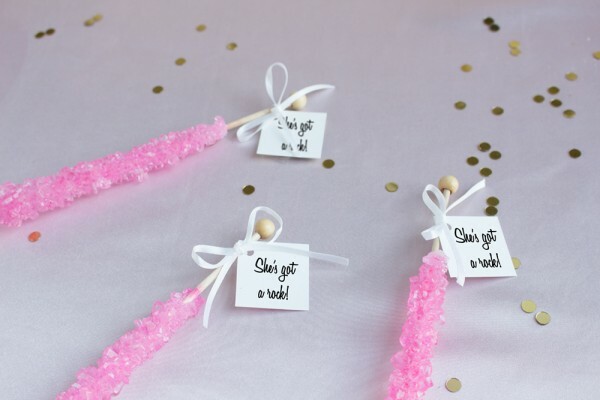 Wrap ribbon that has been strung through the tag around the center of the machine and finish by tying a bow. That’s it! 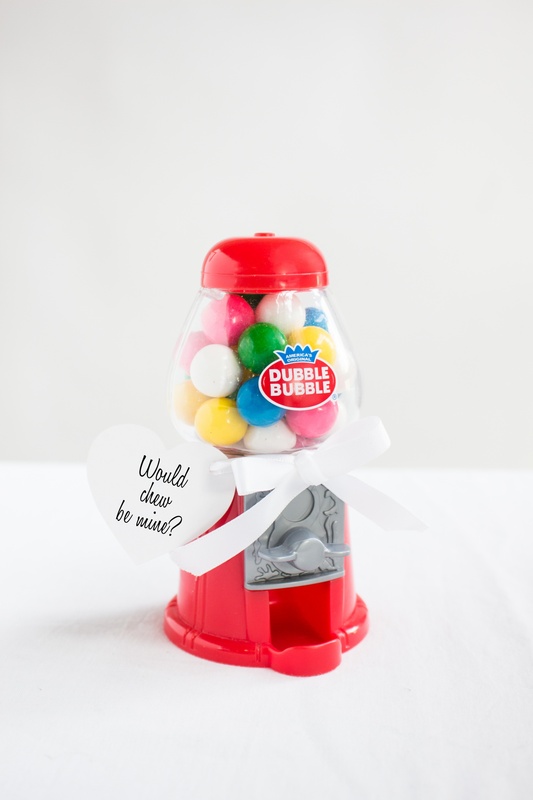 What do you think of this simple DIY gumball machine Valentine?